How to Transfer Data on Android Phone to PC? - The Android OS is one of the leading operating systems in the tech market. Users can browse the Internet while listening to music and download files while performing some other tasks which is so called multitasking. - Users will be notified every time they receive a messages or email and a notification appears on the home screen of the phone when at that time. Sometimes an LED indicator blinks when you receive something. - Loads of apps are available for download from the app market for users. Most of them are free and users can download apps and games on the Android phones from the app market any time. But here comes the question. When apps or other files on Android phone are too many, they will in a total mess. So in order to make good arrangements of the data, you need a powerful transfer assistant to help you. 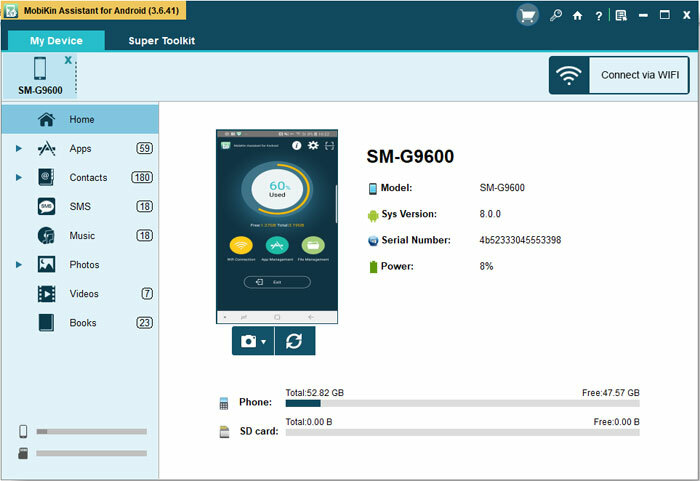 Read on and you will find the best convenient and useful Android sync manager to manage the files on your Android cell phone or sync Andriod with Mac. When you want to manage your Android data on the computer, MobiKin Android Sync Manager (Windows & Mac) is definitely the best tool for you. With the help of it, you can sync all files including videos, music, photos, contacts and apps to your PC or Mac. This is a third party tool. If your cell phone is Samsung, Motorola, Sony, HTC, LG, Huawei or other Android operating system device, it is the perfect sync software to help you transfer files like messages, videos, music, photos, contacts and apps from your Android device to personal computer. Choose a free trial version to start now. Run the program and connect your Android phone to the computer via USB cable. Then enable the USB debugging at first. If you have enabled the USB debugging before, you can skip this step. 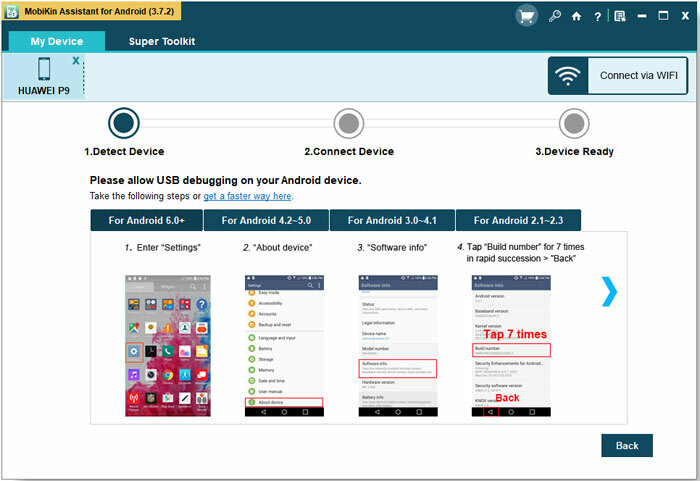 - For Android OS 4.2 or later, enter Setting-> Developer Options, (If you did not find the Developer Options, go to About Device, and tap "Build number" 7 times in rapid succession then back to the Setting page), turn on Developer Options->USB Debugging. After that, click "USB debugging opened" option and click "Next" to download and install the USB driver on your computer. You can follow the specific instructions and tips to install the driver on the main interface. When the software shows that the installation of the USB driver is finished, you can click "Finish" button and start the data sync process. When the process above is done, the basic information and parameter of the Android phone will be shown on the popped-up window beside. Go through them and think what files you would like to sync to your computer. For instance, if you want to sync SMS messages to the computer, you can click "SMS" on the left column. Preview the contents of every message and pick up those you attach importance. Then click "Export" to sync and save them on your computer. Besides, other data like music, apps, videos, photos, books and contacts can also be transferred to the computer in the same way. 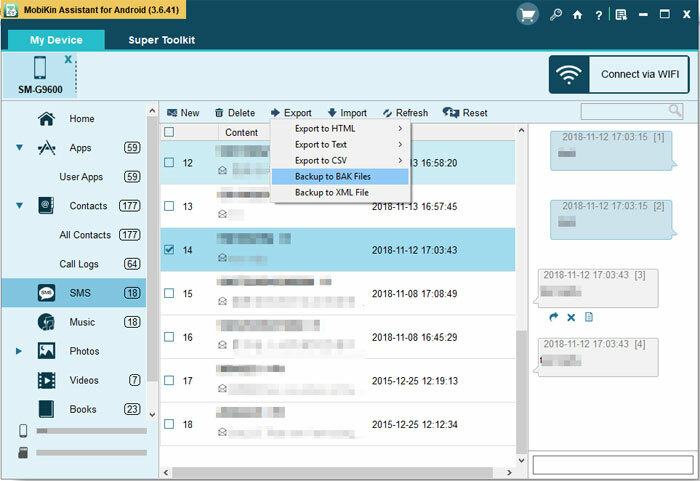 How to Import CSV Contacts to Android Devices with Clicks?